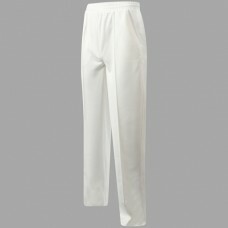 Baggies cricket trousers with sublimated or embroidered club badge. 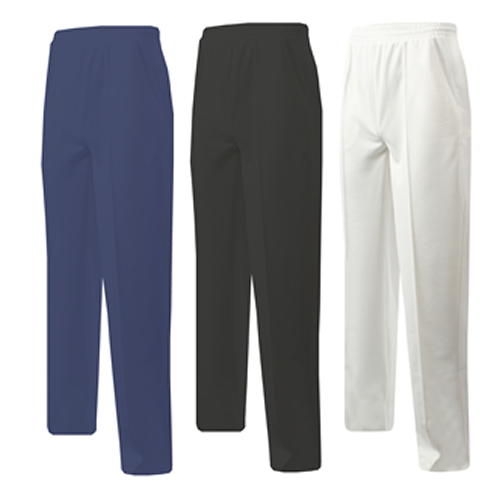 Made from 100% polyester micro knit fabric with teflon coating for added protection. Quick Dry Moisture Management System helps to wick away perspiration for added player comfort. Other features include a mesh back panel for extra breathability. Available in ivory, navy and black in adult and junior sizes. Please Note: Personalised garments cannot be returned or refunded.